I have been working in the field of chiropractic care for over three years. I began my career as a Chiropractic Assistant and shortly began working as a receptionist/patient advocate. I’ve been working with Dr. Miller and his integrated health team since April 2017. I’ve had the pleasure of meeting so many great patients, and I continue to meet more great people every day. It is an awesome experience to be able to help patients get well and really have a big impact on the future of their health. 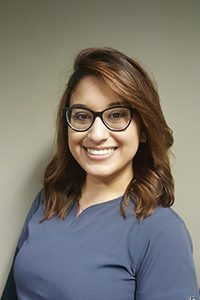 Being able to work closely with patients in the chiropractic and medical office has inspired me to pursue an education in Radiologic Technology. My experience at Orland Park Integrated Health Clinic has continued to affirm and prove the importance and commitment of helping patients live a healthier lifestyle.